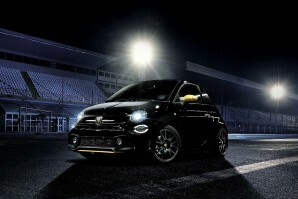 New Abarth Car Leasing and Contract Hire Deals. Search for Abarth car lease deals below. Abarth is legendary for the use of the Scorpion but why. Carlo Abarth had a DNA of performance, speed and motoring. His life was full of innovation, success and records, a story of a man and his great cars. These cars left their mark on Italian and international motoring. Carlo was born under the sign of the scorpion and Abarth vehicles were renowned for being high-performing and powerful, but first and foremost small and agile just like the Scorpion. Get behind the wheel of one and you will see why. Try the classical Spider or the cheeky 500. Destined to put a smile on your face as everyone else sees the sting in the tail. Why lease your next Abarth car from Total Vehicle Leasing? Not only can we help specify your next brand new Abarth car, we will find the right finance deal for you and arrange everything from placing the order to delivering it to your door - it couldn't be simpler. Search the Abarth car you want, choose the contract length, the initial payment amount and ask us for a quote. Alternatively give us a call on 01565 65 66 66.